What makes this app great is that it does the basics of being a Mac weather app. 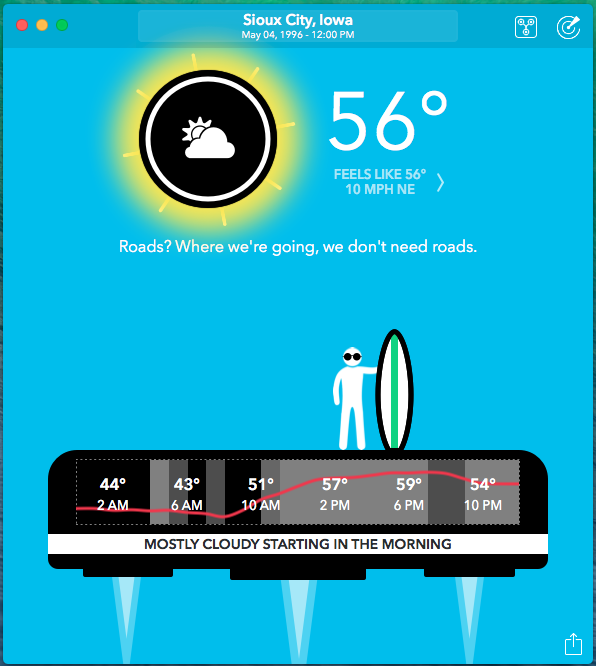 It gives you the correct weather based on your location and it keeps it simple. It can also show you the short-term (15-30-45 minutes), hourly and daily weather forecasts. Another cool feature about the app is the Time Travel feature, which allows you to play a little Doctor Who and see what the weather was like on certain days in the time and the past. I even found out what the weather was like on my birthday, which I find to be very interesting! The notifications for the app come in handy when I am taking notes on my MacBook Pro in class. 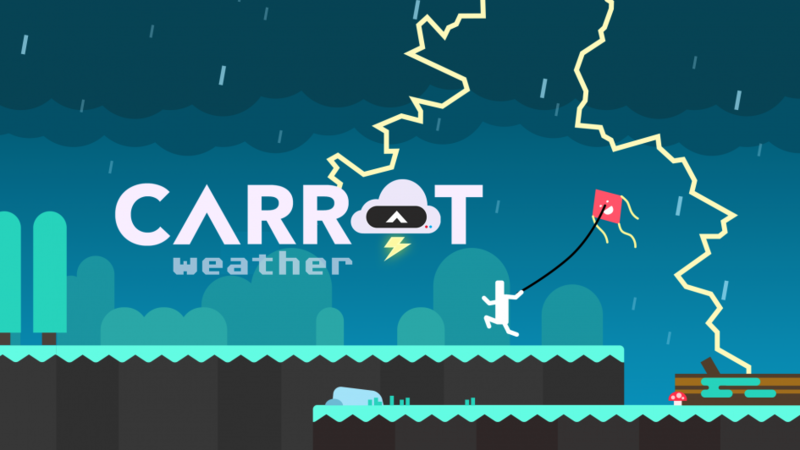 There have been a couple times where I have had thunderstorms while class is going on this semester and CARROT notified me the moment it was going to start raining. What I do not like about the app is the radar. The radar on the iOS app is lightyears ahead of the Mac version. The zoom-in is not that good and getting the correct area of which you want to view the weather is not great. I’m hoping that it is upgraded in future updates. Overall, CARROT Weather for Mac gets 3/4 stars from me. It’s simple, basic, and to the point. There’s nothing more you can ask from it. As for what I would want from it…well, that’s an article for another day. CARROT Weather for Mac is a premium app at $11.99 in the Mac App Store.